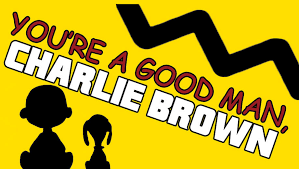 You recall Charlie Brown and Peanuts and the other kids in the most famous comic strip. 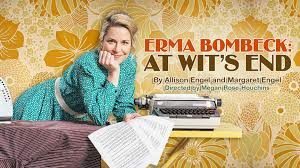 This play is basically a series of non-related vignettes in which some of the characters primary interests or habits are dealt with. There are musical numbers in each scene, and the six players really pour themselves into going back to youthful times. Hannah Garmon is Lucy, and she really puts a lot of energy into her intended relationships. Linus is played by Jameson Vaughan and he really works the blanket schtick to the hilt. But it ain’t easy being two years old on stage. The doofus, Charlie, is played by Robby Myles and he does come out quite well in the end. Schroeder (Joe Redd) is at the keys playing Beethoven’s 9th, to the delight of the audience. And the other gal, Sally, is played by Bekah Medford. Oh, and did I forget that there was an animal in the cast? Snoopy is played with great energy by Claudio Pestana. He may enjoy chasing sticks or frisbies, but it’s all on his terms, since he is the dog. Woof. Leonard Bernstein’s score for Candide is undoubtedly one of the 20th centuries most respected and enjoyed. The story line is based on the work of Voltaire. Most of us haven’t actually read any of Voltaire’s works, even though in his 84 years on this planet he published more than 2,000 books and pamphlets. And, he did get in the face of the royalty and the priests and at one point he actually spent 11 months in a windowless solitary cell at the Bastille. 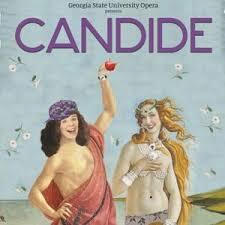 So, in Candide the Opera his attitude towards life vs. death takes center stage. Candide (Ethan Michel) is that nomadic cavalier who falls hopelessly in love with Cunegonde (sung by Joanna Burrell and Katie Lee, on different dates). The story takes the principals from France, to Prussia, the Netherlands, and even Colombia, as the score supports the different venues in the way it is composed and performed. People live, people die, people live on, etc. What was truly magnificent about this presentation was the collusion of five groups all brought together by Carroll Freeman. The GSU Orchestra under the baton of Michael Palmer was right at stage front where you could see every move. The University Singers, or more than 40 students were conducted by Jennifer Sengin, and the GSU Players and Our Song group also took part in the production. And, the Kennesaw State University Opera Theatre brought 15 more to the stage under direction of Eileen Moremen. Singin’ in the Rain started as a film in 1952 with Gene Kelly, Donald O’Connor and Debbie Reynolds in the leads. It was set in the 1920’s when silent movies were starting to morph to “talkies.” While some of the folks in LaLa Land thought it would never really take off, The Jazz Singer proved that wrong. 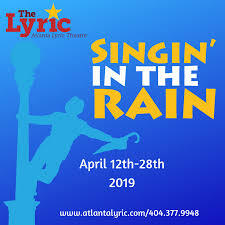 Mary Nye Bennett directed this grand scale musical with a large cast, grand costumes and terrific song and dance numbers. R. F. Simpson (Bob Amaral) is the head honcho at Monumental Pictures, and they have started to shoot a silent film, The Dueling Cavalier, starring Don Lockwood (Jeremy Benton). As things go on, they get the idea that the show might sell better as The Dancing Cavalier. One problem is that Lina Lamont (Ruth Beyer) is the proposed star of the film, but she couldn’t carry a tune in a bucket. That’s when Kathy Seldon (Leigh Ellen Jones) gets brought on to do the voice-overs as Lina just lip synchs. Don’s buddy, Cosmo Brown (J. Koby Parker) helps to mediate a lot of the possible problems for the studio. The fine cast brings about 15 numbers to stage, including standards such as Good Morning, and Singin’ in the Rain. The live band under the baton of Paul Tate does a great job as well, and the finale brings to stage a send-off akin to what was done on Broadway. Woody Allen wrote this musical adaptation of the film that he co-scripted some years back. James Donadio directs this cast of more than twenty players, who can sing and dance their way through almost anything. Come back to the Big Apple in the days of the great depression and where a producer wants to get his work on the stage but hasn’t got the money. A gangster capo, Nick Valenti (Byron Hays) has the dough, but he wants some gal, Olive (Maggie Birgel), to get on the stage in a leading role, and he assigns his man, Cheech (Hayden Rowe) to handle things. Those were the days when you didn’t get in the face of some folks if you wished to stay breathing. One BIG problem is that the older woman, Helen Sinclair (Rachel Sorsa), is the real diva and the type who understands that you are the star when your name goes above the title. With a live band upstage they work their way through plenty of standards from days gone past, but tunes you’ll easily recall if you remember Cole Porter and them days. The production is totally Broadway quality and you need to know that there are no restrictions as to single entendres or expletives. So Ms. Prim and the kiddies may not dig it. But you can advise them that Tain’t Nobody’s Biz-ness If you do. This is one man, one act, one delightful evening. William Murphey takes the stage as the first TV food junkie, in the days of old small black and white screen TVs. That was even before Julia Child came on the scene. 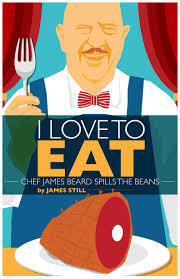 Chef James Beard loved his idea of basic American Cuisine. Directed by Clifton Guterman, the show is on a spectacular set by Isabel and Moriah Curley-Clay, and make sure you get seated well before the show starts, because you are going to fall off your seat laughing when Beard makes his first entrance. We meet up with Beard in his Greenwich Village flat. He recalls for us so much of his days on the show, the problems, the successes and all in betweens. He really used to keep live telephones with him when he was before the camera, and he loved to make jokes as he worked through his menu for a show. You’ll love when he starts to get Western Union wires delivered, and when he really does invite some audience members to join him on stage for a tasting. Beard was a chubby gay gent and wasn’t one bit shy about who and what he was. One of his sponsors must have been Borden’s as he does get involved with an uninvited bovine during the show. In 1965 James Lee Barrett did the screenplay which starred James Stewart as the patriarch of the Anderson family’s expansive farm in the Shenandoah Valley of Virginia. And in 1974 the script was crafted into a musical which was nominated for 6 Tonys and went home with 2 of them. This story is about a widowed gent, Charlie (Taylor Hicks), and his expansive family. They are on the edge of the War Between the States and would prefer to find peace and happiness than struggles and disasters. The show is played in the fields at Serenbe, where you will be in the presence of dozens more players, not including the horses and other wildlife. Taylor Hicks is very well known for his appearances in American Idol, and he has great pipes. His daughter, Anne (Rachel Potter) is also a Broadway performer coming to the stage here in Serenbe. Each of the dozen principals are really great but the rest of the ensemble are right there as the front line moves into the Anderson’s turf, the choreography by Bubba Carr blows you away at the hoedown scene. How do we find positive connections in such a situation? One way is shown to us by the young “Boy” Anderson (Pilot Bunch) who is best friends with a young black, Gabriel (Caleb Baumann). Considering the historical period that sort of friendship was a work of art. Founder Brian Clowdus directed this enticing show, which runs about 2.5 hours with an intermission. Seating is outdoors but comfortable with easy close-up stage views. You park a short walk to the seats, and there are plenty of concessions available. But, please know if it starts to storm, you may wish to have a raincoat and umbrella. This one has plenty of gun fire, albeit the guns are never aimed at the audience. And Yes, a lot does come out right in the end, but there is angst aplenty on the road to salvation. This year’s touring production of the Capitol Steps came to GSU’s Rialto Center for the Arts, and it was a smash hit, as usual. Started decades ago by three aides to a senator, the group and it’s successors have always brought the best humor to the political scene. And in today’s days of stress their Make America Grin Again Tour is been hitting issues straight-on. They now have more than one performance company so they play weekends in DC but the touring players hit the roads. While what they have to say may sound to some like LIRTY DIES, they try to address issues with SOTAL TANITY. Even if some elected official might not agree. 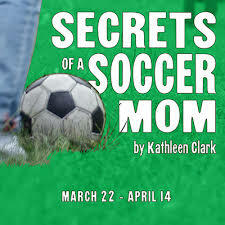 The Dunwoody Stage Door Players are presenting a show about three soccer moms who are in a game as opponents to their kids, who are part of the young students team. Directed by Suehyla El-Attar, we meet up with the trio at the soccer field, and listen in as they explore themselves as well as each other. Nancy (Adena Brumer) has some issues relating to personal relationships and desire to compete to win. Alison (Hannah Morris) is trying to define herself and finds it is not an easy chore. These mothers are all dealing with the daily job of mothering and all the other issues and problems which can rise up. For instance, Lynn (Brittani Minnieweather) is trying to stay connected with what’s happening on the field, while she is also deeply into managing and organizing some materials for the schools PTA. The play has humor as well as thought provoking comments. The play by Kathleen Clark has enjoyed many small theatre showings around the country. 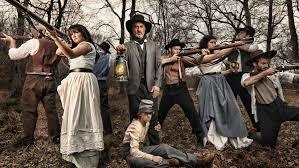 She is also the playwright of Southern Comforts which is pretty much a standard these days. Cinderella doesn’t seem to have aged much since her first year on stage 62 years ago. With music by Rodgers and Hammerstein, the story is pretty much the same, but has been updated a wee bit; and somehow dealing with that nasty Sebastian (Christopher Swan) seems like watching the evening news. Prince Topher (Lukas James Miller) is in line to the throne but has no idea what is happening to the average folks in his land. But, unlike some others, when he finds out he steps up the plate and wants to make things work for the average guy as well as the elite class. And the story is about how that wonderful fairy can not only turn a pumpkin into a golden coach, but turn a peasant girl into a princess with such great ease. You know the story, how the transfigurations end at midnight and how the prince falls for her and goes nuts trying to find her, and how everything works out wonderfully in the end. But, it is a fairy tale, is it not?